Halloween is practically not much celebrated here in Japan, although you will see loads of Halloween decorative bits n pieces here and there especially here in Tokyo. From Malls to restaurants. .. I should've taken more photos so to show you more about here =( OK next time since I am already getting tired of taking Anzu's photos lol.. This year is actually Anzu's first Halloween. Even there was no Trick or treat in our neighborhood, that didn't stop us to enjoy the halloween. Although too bad, we were sooo late for the Halloween Party which started at 1pm. 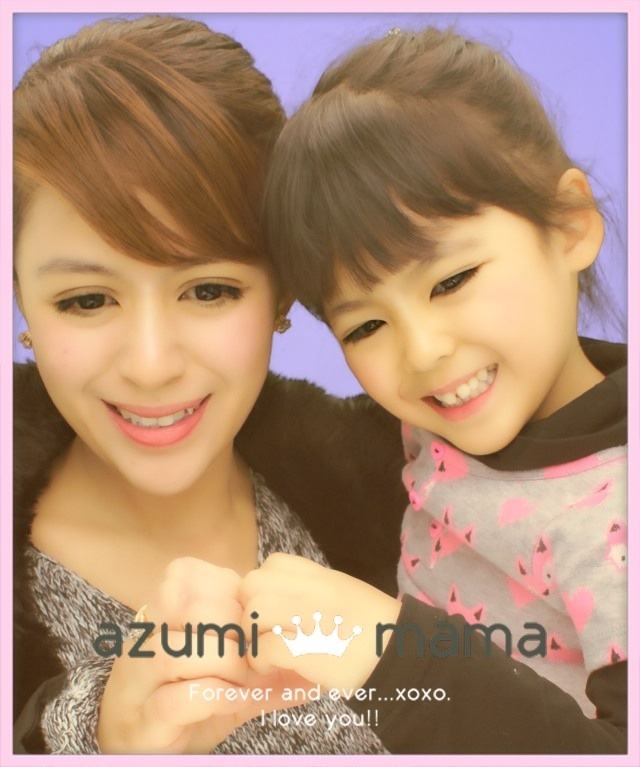 Anzu didn' get halloween give-aways lol BUT nonetheless, we enjoyed the other attractions and shows. Before the day ended, I was really glad to see my hubby's friend whom I havent seen for almost 2 years.. なつかしい。。He's the one on the last picture in the slide. Anyway, that's another story. Im just so glad he finally meet our lil dolly princess and he can't believe that time has indeed flown so fast. My babe's first halloween costume which I bought with a 50% discount. That's how we spent our weekend. enjoyed the photos :D i love the kissing pic reflected in the mirror the most.. sweeeet! she's the cutest bumble bee i have ever seen.... and super na excite ako sa sanrio land, i so love hello kitties, para siguro akong nasa heaven kapag nakapunta ako dyan. aww..cute naman in the bee costume. Daan ka naman for my post we've been trick or treating too! Maski hindi kayo umabot sa Halloween party sa Sanrio Amusement Park ay okay naman ang mga pictures ninyo. Mukhang wala sa mood si Anzu sa mga unang pictures pero nakapagtataka nang karga na siya nung kaibigan nang mister mo ay mukhang enjoy na enjoy ang baby mo, lol. Hapon kasi ang may karga sa kanya, lol. Nakakatuwa lahat nang kuha ninyo. Ang importante ay ang precious bonding moments ninyong mag-ina. Thanks for the wonderful post. God bless you all always. she's a cutie. as pretty as her mom. i like sanrio when I was in elementary and highschool. alll of my kikay things then were hello kitty and melody. Iinaaa! 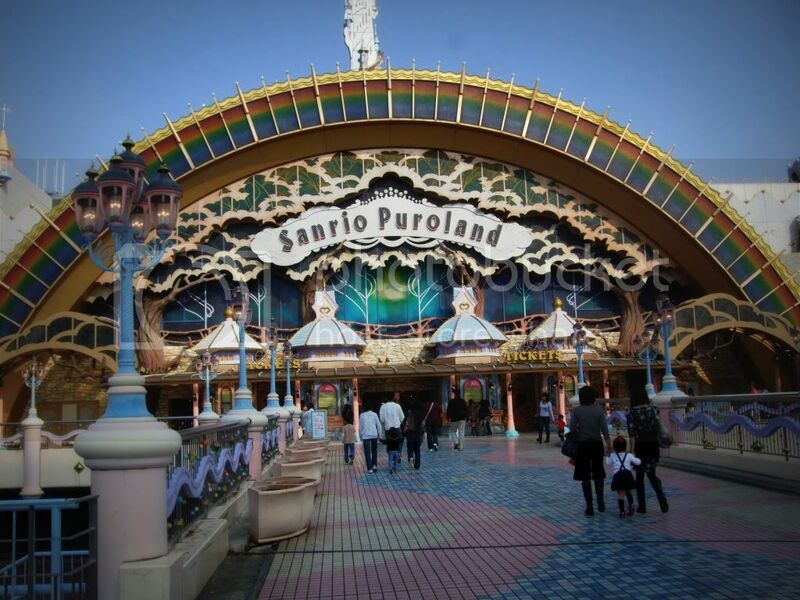 !Gusto ko ring maka punta dyan sa Sanrio Puroland!Fave kasi ni Wakaba si Sugar Bunnies eh fave ko naman si Kitty chan lol! !I love lil Anzu's halloween costume!!Cute!! Ang cute naman ng costume! Mukhang enjoy dyan sa Sanrio land. And korek! When you're in a place like that you want to take your time. enjoyed watching the pics, my sis loves hello kitty..
i love all the pics specially number 45!!! ihhhh sweetnesssss!!!! Late na ako sa PBW mo sis, medyo tinatamad kasi beauty ko lately sa lamig. Ganda nga halloween ninyo, ang cute ng bumble bee mo sa costume nya. Bait talaga nga lil Anzu mo napaka behavesa public. love all the pics in the slide. ang ganda ganda naman ng bumble bee hehehe... nalate pala sya sa treat hehehe... Next year Mommy Bams agahan mo hahaha.. Or punta ka sa states dun tayo xcelebrate ng halloween..